Whether it is glassing in a shelf or glassing in the mount to an autopilot. Our skilled technicians can repair those nicks and scrapes to major damage. Once we are finished you will have a hard time finding the original damage. Gelcoats are tinted here in our shop to match the existing gelcoat on your boat. We have been painting boats and parts of boats with Awlgrip and Imron for over twenty five years. If your hull and stripes are getting a bit faded, then maybe it is time you had your boat painted to give it that new look. 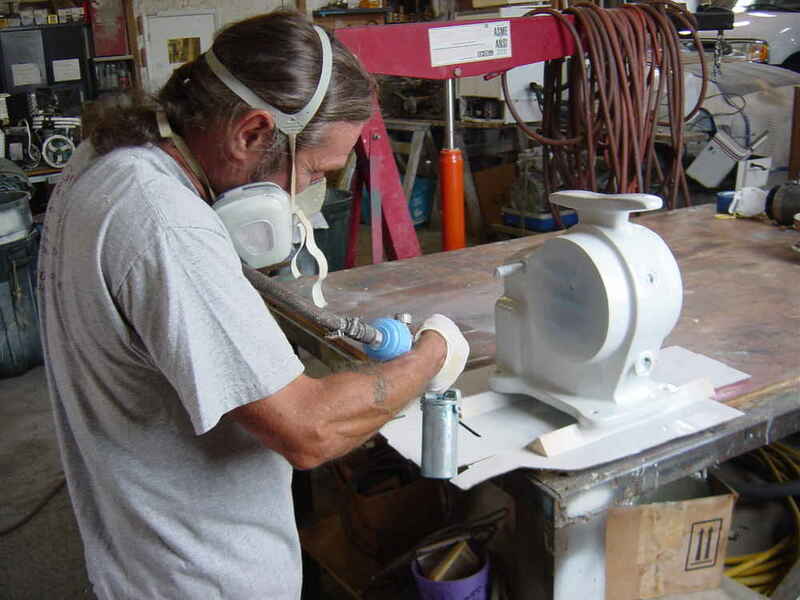 We also paint parts and masts that may need a fresh look.